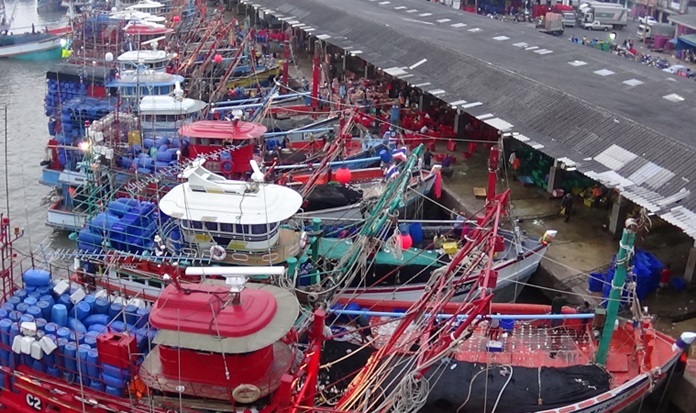 Bangkok, 15th September 2018 – The government considers labor shortages in the fishing industry an urgent issue and is taking action to address the problem, as Thailand is one of the top exporters of fishing products in the world. Prime Minister General Prayut Chan-o-cha said today that Thailand is now in need of an additional 53,000 workers in the fishing industry. The government is therefore turning to migrant workers to ease the labor shortage in this sector. The government has introduced three major measures to deal with the issue. In the first measure, migrant workers who have been permitted to work in Thailand and whose work permits will expire on 30 September 2018, are now entitled to a work permit extension of two more years, until 30th September 2020. Workers in this group number about 11,000. Employers have been urged to bring their migrant workers to the One-Stop-Service (OSS) centers in 22 coastal provinces by the end of September 2018 for the registration process to take place. The second measure seeks to recruit more workers from neighboring countries, namely Cambodia, Lao PDR, and Myanmar. In this regard, the Government of the Republic of the Union of Myanmar has agreed to send about 40,000 workers to Thailand by November 2018. The Thai government will open an OSS center in Ranong province to register these workers and provide them with medical check-ups and visas. In the third measure, migrant workers in other sectors who are still in Thailand will be allowed to work in the fishing sector for one year. They must already hold valid documents, such as passports or temporary passports. These measures are expected to solve the labor issue in the Thai fishing industry and encourage entrepreneurs in the sector to hire migrant workers through the legal channels established by the government.